Hi! I am so happy you’re here and excited you’re interested in essential oils and possibly making a lifestyle change for the better for yourself and family! 1. Click ORDER HERE and make sure the number 10750150 appears in both the “Enroller” and “Sponsor ID” fields. Sign up as a Member, this does not mean you have to sell oils, it just means you are getting a starter kit & will therefore get 24% off retail prices. 2. Then select the Premium Starter Kit (PSK) + choose the diffuser you'd like. Desert Mist is my favorite. The candlelight flicker is so good! 4. Fill out all the needed info. Create a username, password, and pin. Write these down so you have easy access to the site again. What do we use oils for? Almost everything!! Whether you are looking for oils to help you sleep, for natural immune system support, for energy, for focus, for relaxation, for your kids, for natural alternatives to cleaning products, the list is endless. The saying "there's an oil for that"is so so true! And you will learn along the way, there aren’t hard set rules, but part of joining our oils team is that you get access to the most amazing resources & our private facebook community. Why Young Living? YL has an unmatched Seed to Seal process to guarantee the purity & potency of every oil. Each batch of oils is rigorously tested in house for therapeutic viability + they are so confident in their products that you can actually visit the farms & participate in the harvest/distillation process. What should I get? A premium starter kit, which comes with 12 of the most commonly used oils + your diffuser (I recommend the Desert Mist), it's the best value & provides you with everything you need to get started. You’ll get over $400 worth of product for only $165. 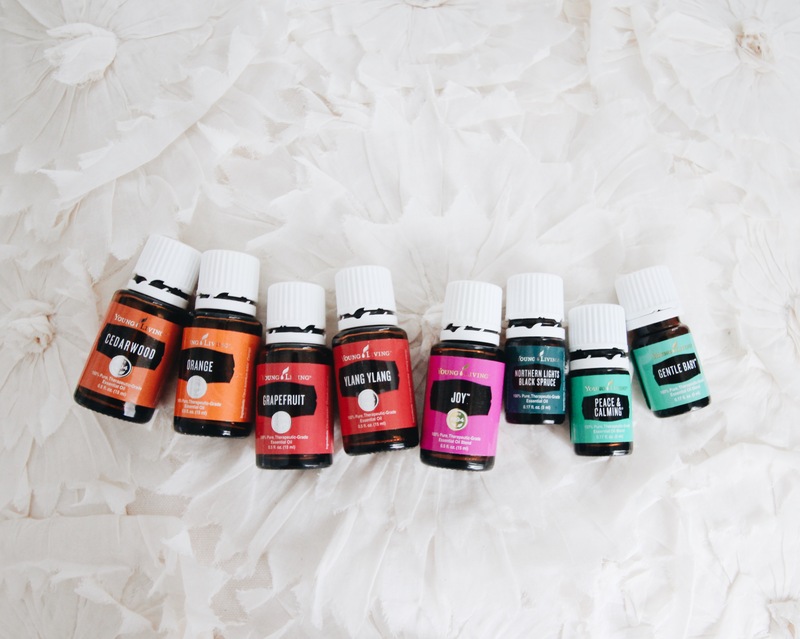 Do you have to order more oils monthly or sell them? No, not at all! Your kit can be a one time purchase, but along with it comes a wholesale membership, which just means that should you decide to purchase oils in the future, you would get a 24% discount! You will also get a personal referral link should you ever decide that you want to share them, but neither is required. Also, come join us over at my oils instagram @myjoycode where I have covered our favorite ways to use each of the oils in the starter kit, and plan to share all of our favorite diffuser blends, what I use on our kiddo, recipes for lip scrubs, sugar scrubs, rollerball recipes & all the fun things!